Use the graphics and sample social media posts provided below (or make up your own!) 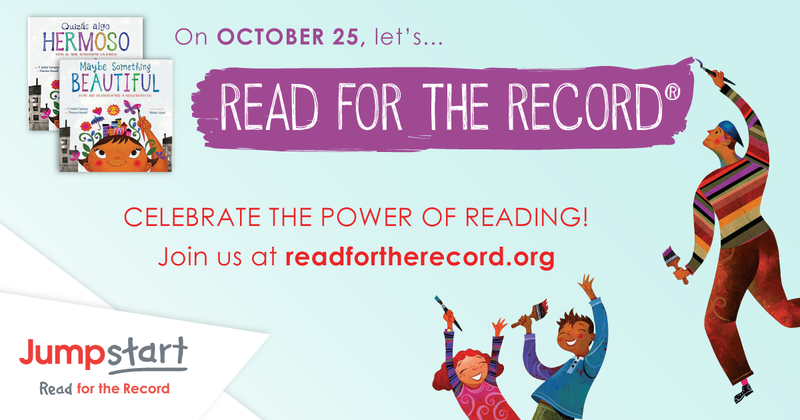 to tell the world how you’ll be celebrating #ReadfortheRecord. Click to open the image and download. 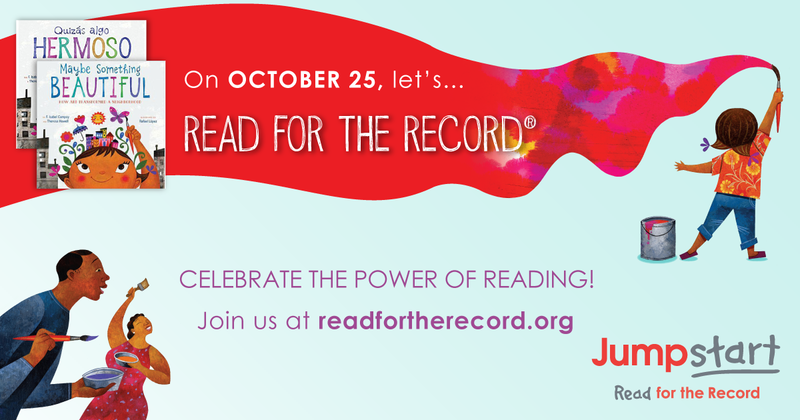 On October 25, join millions of readers young and old to celebrate @Jumpstartkids’ Read for the Record! 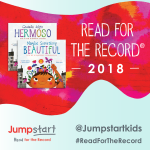 Join us in celebrating the power of reading by registering to read “Maybe Something Beautiful” by F. Isabel Campoy & Theresa Howell with us at readfortherecord.org. Help spread the word about Jumpstart and Jumpstart’s Read for the Record® with these resources for use online and in stores, libraries, and classrooms. 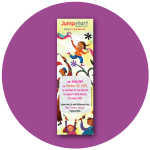 Post on your blog or site about Jumpstart’s Read for the Record and how you’ll be celebrating! Share your participation with friends, family, and your networks on social media! If taking photos or video at your event, please make sure all minors have a Media Release Form signed by their guardian. We love to see how you celebrate on the day of and require media release forms to reshare any photos you send our way. 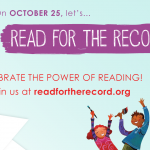 When submitting photos of how you enjoyed Read for the Record, please include all Media Release Forms in your email to rftr@jstart.org. 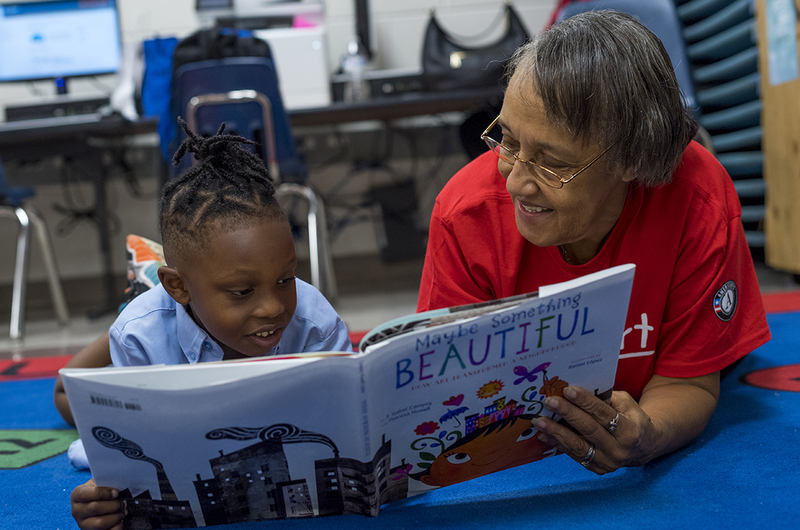 You can also help support Read for the Record through peer-to-peer fundraising with Crowdrise or on Facebook. 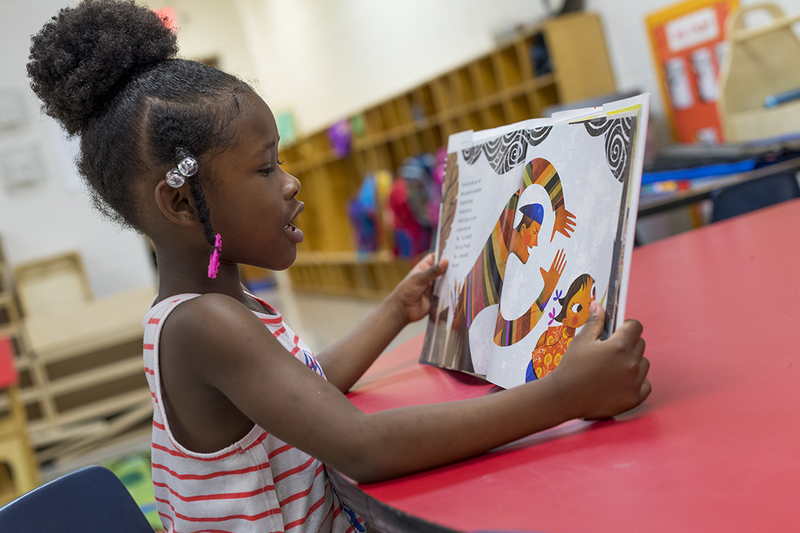 By raising funds you support Jumpstart’s programming in communities across the country and put more books into the hands of children who need them most! 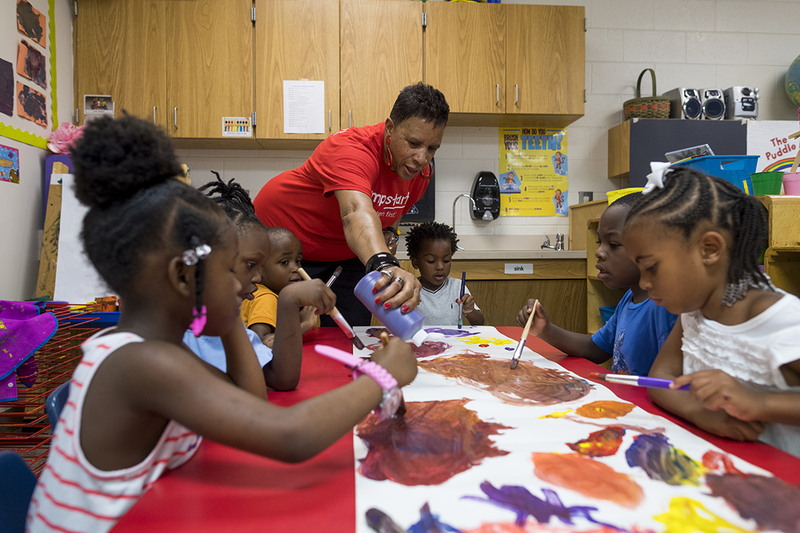 Peer-to-peer fundraising is a great way to engage your co-workers, family, and friends in the campaign and work together to support Jumpstart. 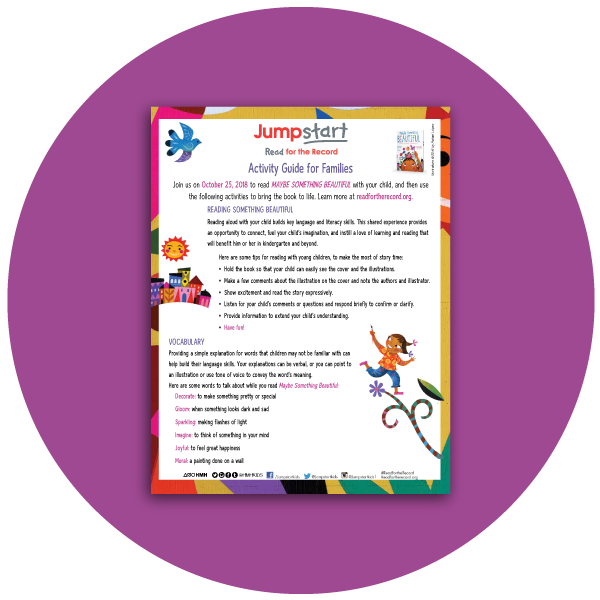 Setting up your fundraiser is easy! Instructions are below. Select “Start a Fundraiser” at the pop-up window. Sign-in to Crowdrise if you have an existing account, or create one with your Facebook or email account. (Creating an account is free and takes just a minute). 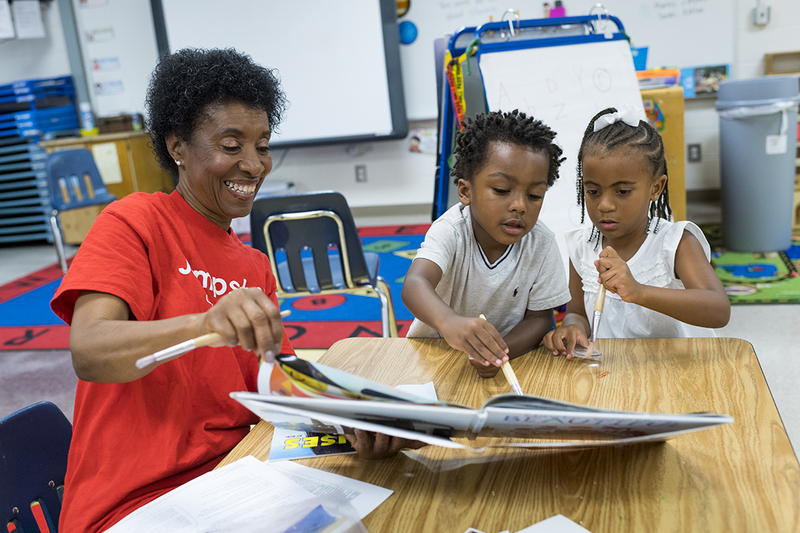 Share why you support Jumpstart and your love of Read for the Record in the “About” section. Upload a profile picture, or use the Maybe Something Beautiful profile badge in the resource section below! 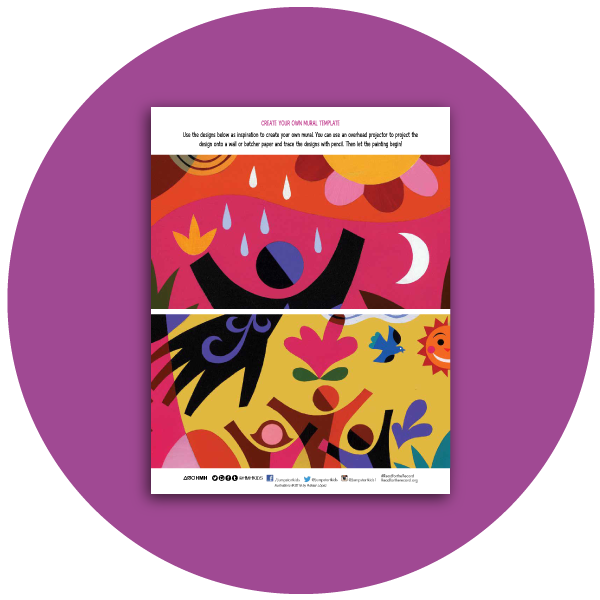 Share your fundraiser with friends, family, and co-workers via social media and email. Fill out your fundraising goal and end date. Choose a photo from the social media resource section below! Use this image for your Crowdrise fundraiser’s profile picture. Use this image for your Facebook fundraiser’s picture. You can easily share your fundraiser on social media by using the sample social media in the “Spreading the Word” section above. Sending an email to friends? Copy and paste the link to your fundraiser in your email. More questions? Email us at rftr@jstart.org and we can help!